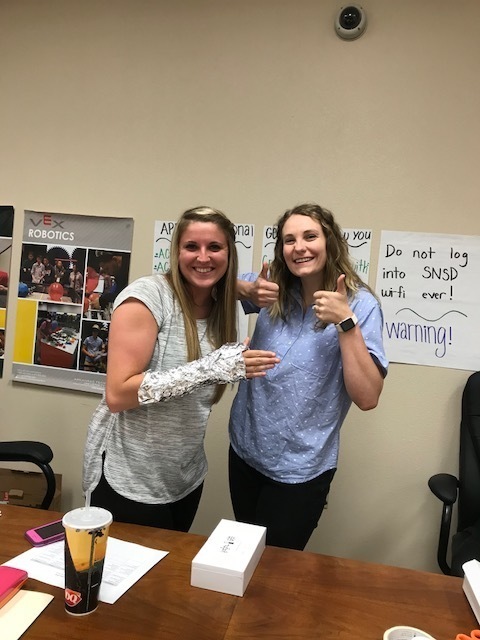 Mrs. Kymberly Hunter and Miss Madleyn Schardein participated in training this summer to learn how to use Project Lead the Way's STEM curriculum. Mrs. Hunter will be teaching first grade at Smackover Elementary School. Miss Schardein (who is getting married on Saturday and will become Mrs. Freer) will be teaching kindergarten at Norphlet Elementary School.